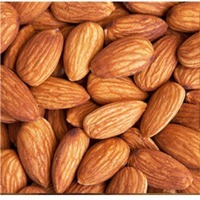 Almond : Medicinal value - South almonds, almonds in China called almonds. 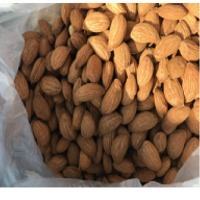 South almonds are also called sweet almonds, slightly sweet, which is also a way to distinguish between almond and northern almonds. First divided north and south almonds have so few say. 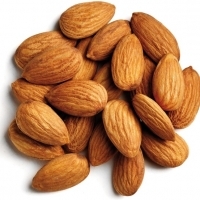 North almond Naturally is the northern production of almonds, and also called bitter almonds. Main features - 1, bitter, must be soaked in water for 3 days to remove bitterness. 2, bitter almonds in the bitter taste of the process of almonds will be a lot of loss, so no almond fragrance. 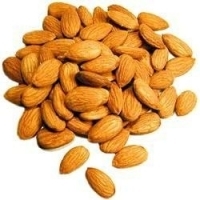 3, bitter almonds have micro-toxicity (brewing when the need for high temperature hot water brewing, to poison). 4, therapeutic effect and sweet almond the same. 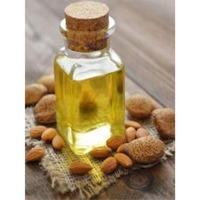 5, almond oil content of about 49%, ground into powder after the powder is relatively wet. 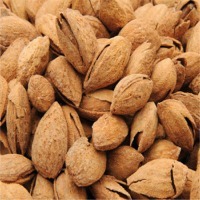 6, due to bitter taste, not many people eat, so bitter almond raw material prices are relatively low. 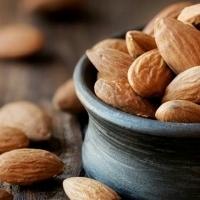 Almond are known to have great medicinal value, which along with their good taste is the main reason that so many people proactively add them to their diet. Short on time? Let almond sellers contact you. The almond is the edible kernel of the fruit of the sweet almond tree. It is a bright white fruti and wrapped in a reddish brown cover. Many well-known products such as nougat and marzipan are made of almonds. Raw almonds, roasted almonds,sliced almonds, slivered almonds, almond paste. Please contact us for further informations. 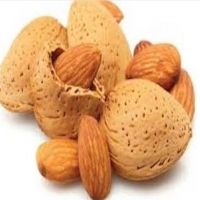 Please find Specification for Almond Nuts: Type: Almond Cultivation Type : Organic Processing Type : Raw and Roasted Style : Dried Grade : 1ST Taste : Sweet/Salty Moisture : Max 6 % Purity : Around 99.00 % Broken almond : Max 5 % Bad almond of obscure : 5% Aflatoxins : Max 5PPB Size : 18 - 20 Ounce & 20 - 22 Ounce Shelf Life :2 Years Packing : 25kg vacuum bags/carton or According to buyers requirement. Approx. Price: Rs 425 / Kilogram Product Details: Minimum Order Quantity	27 Kilogram Brand	KK Herbal	Yes Organic	Yes Packaging Size	250ml, 500 ml Packaging Type	Plastic Bottle Specific Gravity	0.825 - 0.862 Refractive Index	1.465 - 1.467 Peroxide Value	2 meq/kg Almond oil has become one of the most popular vegetable oils due to its many uses. 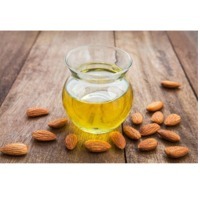 However, there are two types of almond oil: sweet and bitter almond oil. 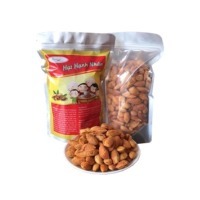 At R.Ayush Enterprises, we offer a variety of Inshell almonds depending on the time of season, market conditions and availability. The most popular varieties include Nonpareil, Independence, Carmel, Monterey, and Butte. Inshell almonds are hulled and packaged for delivery in 50 lb. bags. 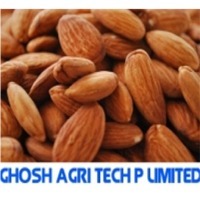 R.Ayush Enterprises, Almonds closely tracks the almond industry and provides our growers with important information. Position reports, periodic commentary on the status of the industry and crop estimates are only a few of the resources we offer our growers. RAE is especially sensitive to the goals of each grower and we are able customize your marketing plan to really fit your needs. Almonds, a source of Omega 3, are good for the heart and blood vessels. Omega 3 prevents blood clots and vessel stiffness, lowers blood pressure and reduces the risk of heart disease in diabetics. 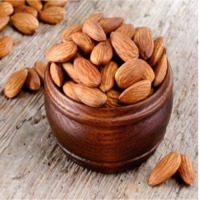 Almonds are an antioxidant rich in vitamin E and help slow down aging. The calcium they contain lowers the cholesterol in the blood and helps prevent bone loss. The magnesium they contain helps alleviate premenstrual syndrome symptoms, such as tension, bloating, mood swings, headaches, sugar cravings, sleep deprivation, fatigue and dizziness. Almonds contain pulp, and the bigger the pulp intake the lower the risk of developing coronary heart disease. N Gen Exporter Pty Ltd.
We are counted amongst the leading names in the industry, offering clients a wide array of Almond Nuts. They are valued among the consumers for their rich taste, crispiness and high nutritive value. 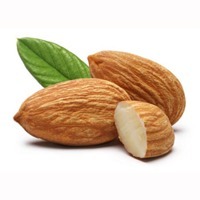 Almond Nuts are considered healthy as well as nutritious. They are used in the development of brain and body and are safe to consume. 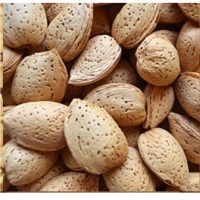 Furthermore, we offer Almond Nuts with air-tight packaging so that they have a long shelf life.